Unveiling simple processes have become the primary goal of every CIO today. Integrated Logistics Management, a new phenomenon in today’s Supply Chain system and is becoming popular day by day. Integrated Logistics a process of planning, coordinating and arranging the operational activities so as to optimize the productivity to ensure success. 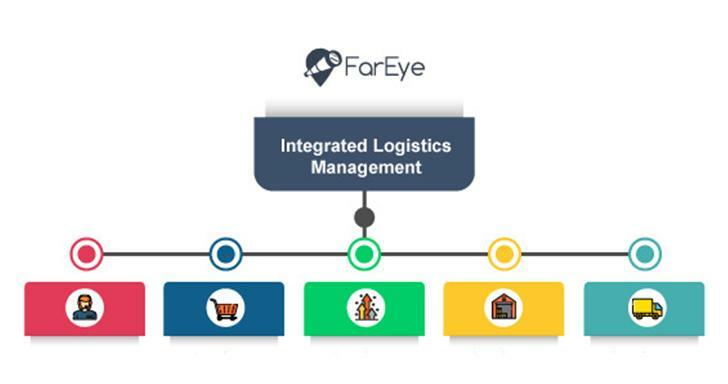 With businesses today looking for better connectivity and collaboration in real-time, the concept of integrated and smarter logistics have shaped up in the recent times. Making the processes efficient and ‘smarter’ is possible only by enabling real-time collaboration between people, processes, data, and devices. From creating job orders to booking and exporting to the warehouse to delivering the shipment to the customer, coordination amongst various stakeholders will help build an efficient and hassle-free operation, improving the effectiveness of the operations. In order to streamline and make the processes efficient, companies have to redefine a digital strategy tailored to its own value drivers and to make its transformation a success. Instead of adding digital outside of existing structures, companies today are redefining the way their work with internal processes is connected in order to create much more value from digitization. In recent years, the heightened intensity of retail competition has drastically changed the way retail companies operate their distribution systems. Also, every company is facing the pressure and are planning to digitally change the way they interact with customers. These changes include the application of integrated logistics, a concept to the analysis and design of supply chains and extensive use of information technology to gain a competitive edge. Take a phased approach: It’s a phased approach comprising multiple projects that need to be prioritized according to your most pressing business needs. The stages involved include: identifying your transformation strategy, designing your new infrastructure and deploying the solution. This phase is based on a number of strategic imperatives, such as organizational strength, leadership, and execution, convergence, simplification and performance measurement. Establishing collaboration through connectivity: A neutral layer and a centralized system to bring visibility and better collaboration amongst the enterprises. Benefits include reduced and more viable costs, increased reliability, the ability to change suppliers as business needs a challenge. Know your processes and align them with your strategies: Get a detailed view of a process flow, data and then design a process flow, accordingly. To unlock the profitability in the logistics operations as well as the competitive advantage, logistics companies to make a bolder move in streamlining the processes and better collaboration. Blending IT strategies with operations for an integrated logistics will help companies build a network that gives more collaboration and tailored analytics for making flawless judgments.